This entry was posted on Friday, August 7th, 2015 at 2:42 pm. 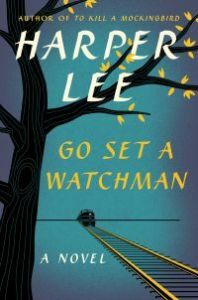 I just reread, for the third time, I believe, To Kill a Mockingbird, and I had forgotten how absolutely exquisite is was. I’m getting ready to dig into Go Set a Watchman and can’t wait! 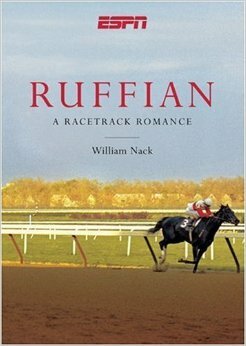 Also, because I typically read more than one book at the same time, and because I, apparently, enjoy crying, I just started William Nack’s Ruffian, a Racetrack Romance. The constant rain in the Mid-Atlantic region has finally relented! Of course, we still get our random mid-afternoon/late-night thunderstorms, but things are drying out a bit, (but our grass is still green, so I guess all that rain was good for something). For the time being, I decided against moving Bailey to the boarding farm. I’m able to ride him here now, and my husband suggested that we save the money that would have been spent on boarding and buy a truck instead. Now I’ll be able to trailer him into a local farm to use their indoor! I’m secretly so happy because it was going to be heartbreaking to wake up and not see my ‘Squish’ in his stall each morning! We are headed on vacation next weekend – so excited to get away! I’ll miss my fur-babies like crazy, but it will be nice to get dressed up, go out to fancy dinners, and just hang out with James. We’ll be in NYC for a few days, and then we’re meeting some friends in the Hamptons.